This morning we commemorate Palm Sunday. 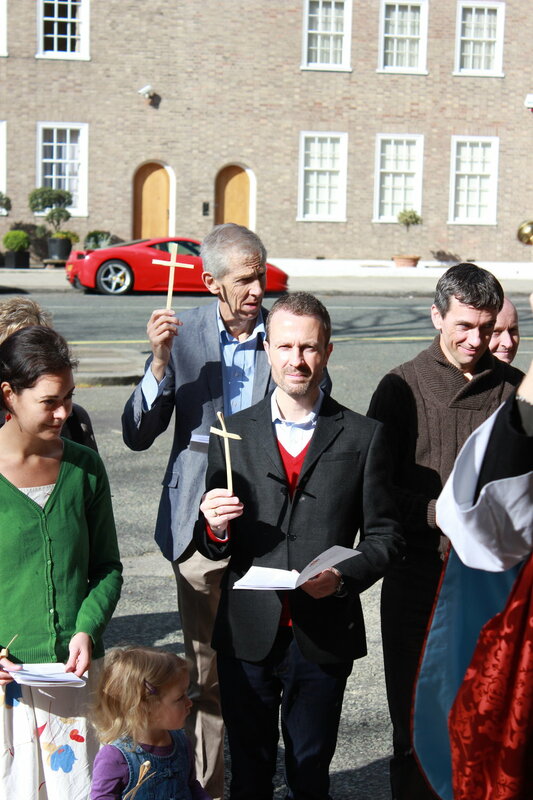 The 10am service begins on the forecourt with the Palm Sunday Gospel and the Blessing of Palm Crosses, and the Passion Gospel is read in place of the sermon. Please move outside at 9.50am. This evening at 6.00pm we have our Way of the Cross service based upon the ancient liturgy of the Stations of the Cross. Using our very own rarely seen stations, there will be wonderful music from Poulenc’s Stabat Mater, sung by our choir. This is a beautiful and poignant service and a very proper way to begin Holy Week. A children’s activity morning is planned for Good Friday at 10am for children from 0-11. Coffee, biscuits and hot cross buns will be available and we will build the Easter Garden. Volunteers are needed to help with the activities. A donation of £5 per child is requested (babies go free). If you can help, speak to Dan or Becky Stringer. On the afternoon of 28th April there will be a walk from Kew ending at Richmond Station. The walk is open to all interested person. Speak to Sam Tear for more information. Congratulations to Neville David and Ian Smith, elected as churchwardens for the coming year, and to Andy Beverley and Gaynor Scruton, who were elected onto the PCC for three-year terms at last Sunday’s annual meetings. We anticipate their contributions to the life and leadership of the parish during their respective terms. Please keep them in your prayers.